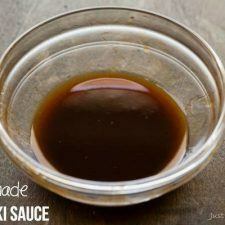 A simple recipe on how to make Takoyaki Sauce from scratch that is as close as the Otafuku’s Takoyaki sauce. So delicious when drizzle over Takoyaki, the crunchy Japanese octopus balls! 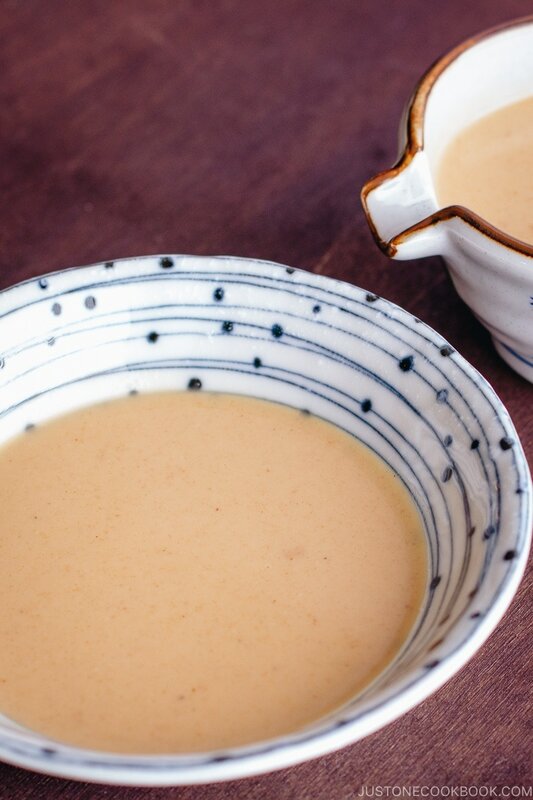 Takoyaki Sauce is mostly used for seasoning Takoyaki (Japanese octopus balls/dumplings). One of Japan’s best-known street food snack originated in Osaka, the delicious octopus ball is crunchy on the outside and flavorful on the inside. To enjoy, they are then brushed with takoyaki sauce and a squirt of Japanese mayo. 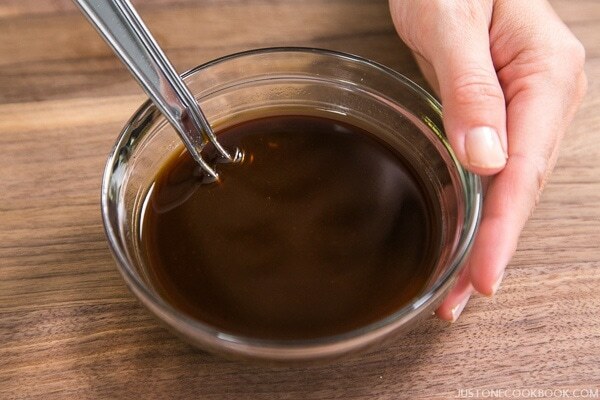 For a simple Takoyaki sauce, you need Worcestershire sauce, mentsuyu, sugar and ketchup. 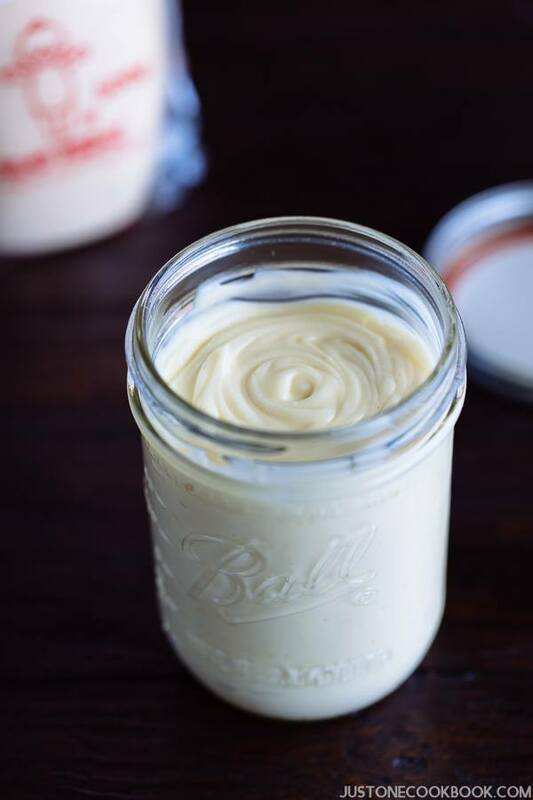 Combine all the ingredients in a bowl and whisk well together. Adjust the sauce to your liking. It’s really easy! You can also purchase Takoyaki Sauce like below in a Japanese grocery store. 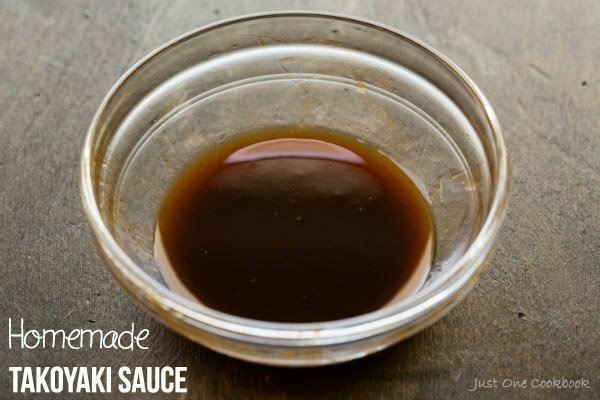 A simple recipe on how to make Takoyaki Sauce from scratch that is as close as the Otafuku's Takoyaki sauce. 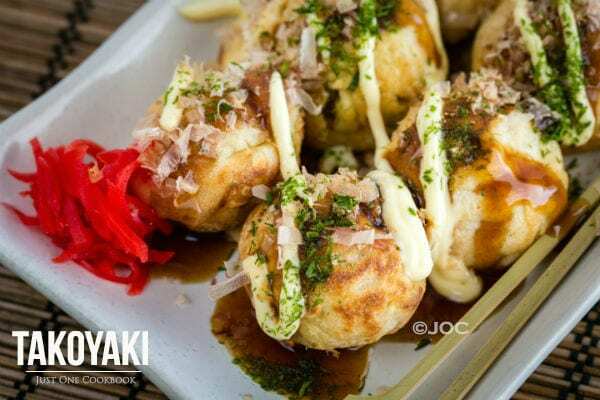 So delicious when drizzle over Takoyaki, the crunchy Japanese octopus balls! Mentsuyu (noodle soup base): Homemade recipe, click here. Basic ingridient for takoyaki sauce is rather difficult to find in indonesia,what is an alternatif ingridient for mentsuyu and worcestershire sauce? what kind of taste if i make takoyaki sauce without Mentsuyu? is it any difference taste with the original? i’ve already read the mentsuyu recipe. it contains sake. sake is forbidden to become ingredients at our food. When you put the mentsuyu in it, is it the concentrated kind or do I have to dilute the mentsuyu first? We have a Mitsuwa and Nijiya market in my city, so I have easy to Japanese cooking ingredients. Would it be cheaper to just buy takoyaki sauce or buy the concentrated mentsuyu and make it at home? My sisters and I used your okonomiyaki + okonomiyaki sauce recipe yesterday. It was delicious! We’re going to try your takoyaki recipe this weekend and even bought the special pan for it. Thanks for the great recipes! Hi Vanessa! It’s concentrated kind. 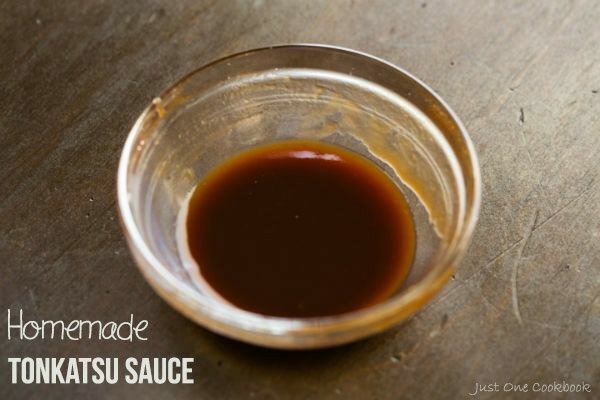 It’s 1 tsp, but dashi and soy sauce in the mentsuyu gives a really nice kick. 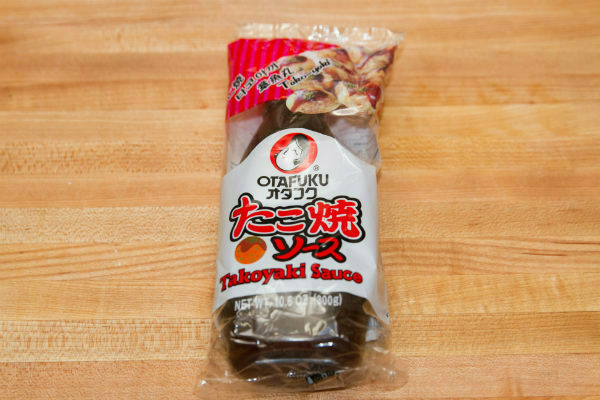 Honestly, since you live so close to Mitsuwa and Nijiya, you can buy Takoyaki sauce…. I made it for readers who can’t get it but I actually love homemade version too and it’s pretty close to store bought Takoyaki Sauce! For convenience, I’d say buy one… LOL. I’m so happy to hear you liked Okonomiyaki and Okonomiyaki Sauce! Thanks for trying these recipes, and hope Takoyaki will come out well! How bitter is this supposed to taste? Hi Amy! Hmmm I wouldn’t say this is a bitter taste though???? Perhaps you could specify which Worcestershire sauce you used because using the British Lea & Perrins Worcestershire sauce with the stated proportions does not produce anything close to Otafuku’s Takoyaki sauce. The Worcestershire sauce is so strong it completely overpowers the other ingredients to the point it’s difficult to even notice them. After some experimentation I found 5 Tbs Mentsuyu, 2 Tbs Ketchup, 2 Tbs Sugar, 1 Tbs Worcestershire sauce produced something a lot closer, but even then the Worcestershire sauce flavour felt too strong. Hi Pazila! Which ingredient is hard for you to find? 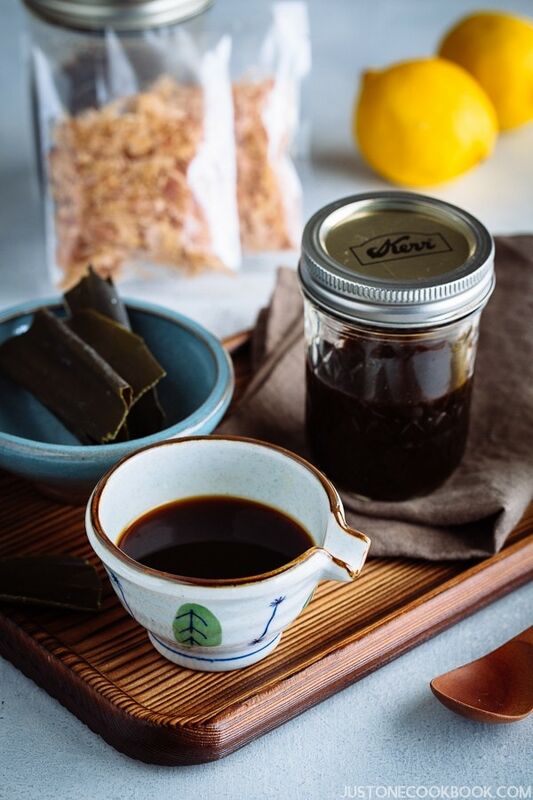 Maybe Mentsuyu bottle (store bought) or homemade Mentsuyu ingredients like Katsuobushi (bonito flakes) and kombu? They are pretty essential ingredients for a lot of Japanese recipes (because we need to use them to make dashi). 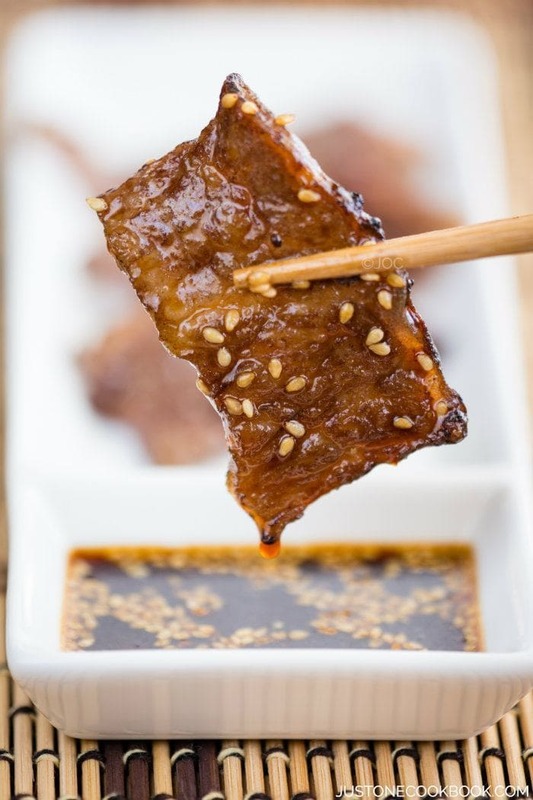 Hi Nami, will using Lea & Perrins worcestershire taste different compared to Japanese w sauce?